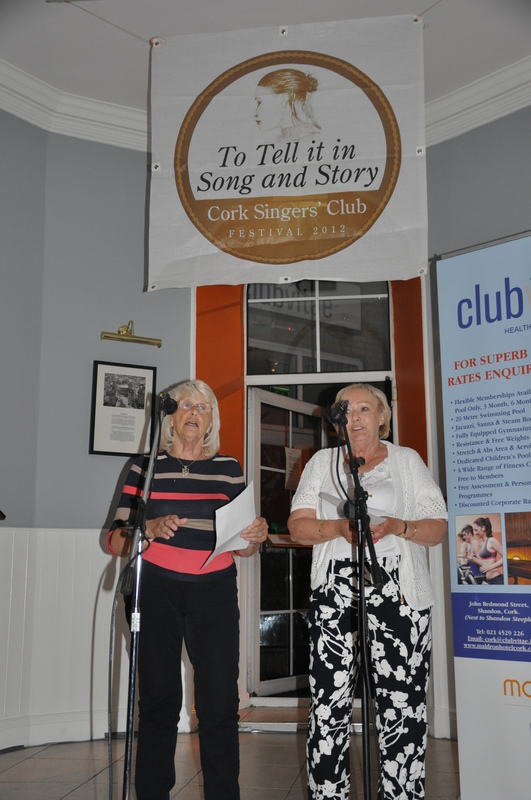 The Cork Singers Club at the Spirit of Mother Jones Festival in Maldron Hotel 29th July 2014. 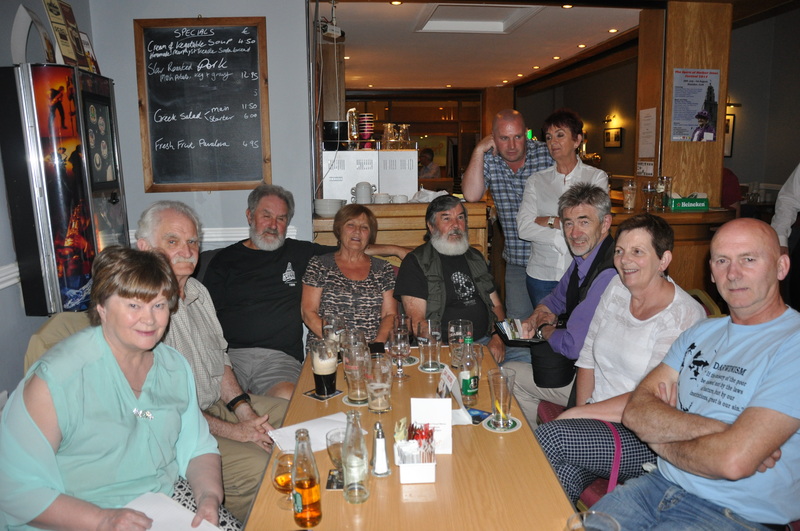 (Left to Right): Teresa Mac Carthaigh, Sean Mac Carthaigh, Tom Long, Monica Dineen, Bill Daly, Pat O Grady, Helen O Donovan, Cliff Wegbury, Bridie Murphy, John Murphy. Helen O’Donovan was Bean a Tí for the spectacular evening of songs and stories. Many of the festival guests such as Anne Feeney, Betty Cook and Anne Scargill also joined in. Teresa McCarthaigh is the author of “The Ballad of Mother Jones” which she sang once again to huge acclaim. US folk / union singer Anne Feeneywho performed at the Grand Concert at the Firkin Crane along with Si Kahn. 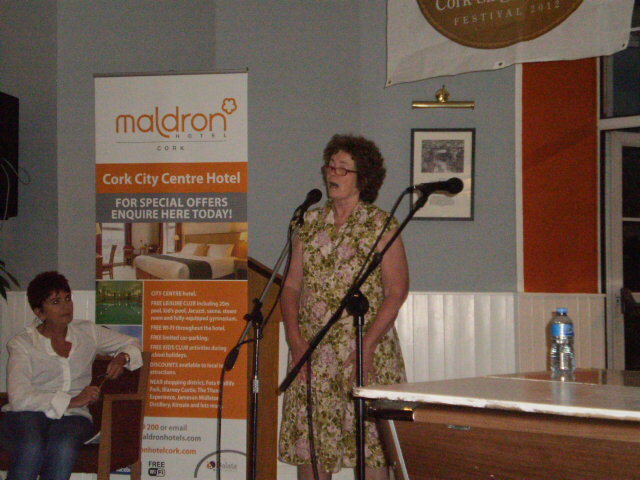 Here she is singing at an “open mike” session at the Maldron Hotel. Photo: Jimmy Thomson. Anne Scargill and Betty Cook of Women Against Pit Closures who sang a wonderful song called simply “The Women’s Song” about the struggle of women during the 1984 British Miner’s Strike. Photo: William Hammond.